It was good to try this: a really characterful, interesting Sauvignon Blanc from Marlborough. 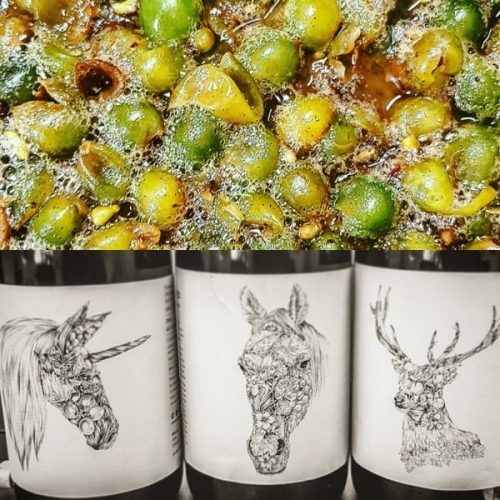 It’s from Y2KX Collective, a virtual winery, who are specialising on making interesting wines. Alana Mcgettigan is the winemaker here, and the director and majority shareholder is Roger Kerrison, who’s worked widely in the drinks industry (previous stints include Renaissance Brewing, The Darling Wines and Grove Mill). This is their skin-contact Sauvignon, and it’s really good. The labels are designed by Phil Constantinesco, a French artist, and they are lovely. So good to see some innovation for Kiwi SB! Have you tried the Hermit Ram version?